I was pleased to see there is a strong push from the medical field on seeing what can be done about trying to limit and possibly end the rash of elbow injuries to pitchers. As Dr. James Andrews and many others have stated, the injury begins to happen at an early age to pitchers who play in multiple leagues, don’t get enough rest between appearances and attempt to throw too fast at an age when their bodies are not completely developed. Too much stress on the ligaments, tendons, muscles and bones that are still not completely mature. I respect what all of them say but I also would add this component to the discussion: Why don’t the leaders of our professional and amateur organizations ask those of us who have pitched at the highest level for long periods of time what we did to train and condition our arms to avoid serious injury? Were we just lucky or are there things we did that could be helpful to pitchers of all ages and levels of experience? I’m certainly not looking for work or suffering from a bruised ego, but I think drills and theories I learned from the late, great Warren Spahn and coaches like Eddie Lopat and Johnny Sain could benefit today’s pitchers. Johnny was Leo Mazzone’s mentor and Leo coached those great staffs the Braves had in the 90s. They did more throwing between starts than most organizations. It’s puzzling to me how the culture has changed in trying to be the best you can be. 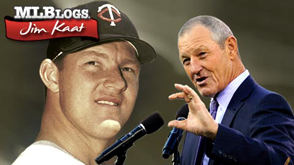 I couldn’t wait to meet Warren Spahn, Robin Roberts and Whitey Ford and pick their brain about the art of pitching. I have told this story many times to groups. Whitey and I were the starting pitchers for a game in Minnesota in the early 60s. The bullpen mounds at Met Stadium were about 20 feet apart. As we were warming up, I could hear the spin on Whitey’s pitches. Yes, hear the spin. I casually walked over to the fence that separated the two of us and asked, “Whitey, would you mind showing me how you hold your fastball? (“Hold” meaning position of the fingers on the ball and finger pressure.) He could have told me to get lost, but he took a minute to show me. We were competing against one another that day! That was incredibly generous of him. I switched to that grip, picked up added spin and movement and my pitching effectiveness improved. I have several other stories like that about picking up little tips from pitchers who were successful. I’ve been involved in professional baseball for over 30 years since my pitching career ended. I have had very few pitchers who ever approached me and asked how I did certain things or trained and conditioned my arm. Roy Smith, who pitched for the Twins in the late 80s, was the only pitcher I can remember asking me several times to talk pitching. It’s disappointing to hear coaches in Major League organizations tell me, “A lot of them don’t know you played and don’t care if you played or how you did it.” It’s just the way it is today. Even with that attitude today, I would hope organizations interested in developing pitchers that have the best chance to pitch effectively and free of injury would want to find out what pitchers from my era did to be able to start more games a season, pitch more innings and complete games and remain injury-free for years. I don’t care if they ask me. Ask Jack Morris, Greg Maddux, Jim Palmer, or Tom Glavine. There is a wealth of information available to help today’s pitchers — not just from doctors, but guys who have pitched effectively in the Major Leagues for a long period of time. If I had a son who was a pitching prospect, I would first try to hook him up with former Major League pitcher Tom House. Tom offers drills, exercises and advice on how the pitching arm should move. Different muscle groups have separate jobs, but all need to work harmoniously. I thought for years that Tom was eccentric and his training methods were way too radical. Now I’m proof that we can get a little smarter as we mature and realize we are not always right. I do Tom’s shoulder exercises as part of my training with my Titleist Performance Institute trainer. Interestingly, I think golf has adopted Tom’s methods more than baseball. I also would recommend that a pitching prospect consult Buddy Biancalana, the former Royals shortstop and a big part of the Royals’ World Series win in 1985. Buddy works with athletes on “getting out of your own way” by getting the brain to do what it is designed to do and not interrupt it with our own doubts and fears. Hundreds of us former pitchers can provide input on the art of pitching: grips, drills, and theories like the importance of the count. That’s always what should dictate how you pitch and what pitch you throw. The count and the scoreboard should be considered above all else in pitching. A couple more items: I was discussing the dilemma of avoiding home plate collisions with Johnny Bench, probably the greatest all-around catcher in baseball history, at last week’s Rawlings Gold Glove dinner. We both came to the same conclusion — and I think Tony La Russa agreed. Just make every play at home plate a force play like first base. Catcher catches the ball and steps on the plate before the runner does it’s an out. Am I missing something? Is that too simple? If the object is to avoid contact, that would accomplish it. You don’t see many collisions at first base. And pace of play. Let’s start with the batter. Can a company design batting gloves that don’t have to be refastened after every pitch? Can the hitter remain in the box between pitches? Mickey Mantle seldom moved his back foot when he took a pitch and immediately was ready for the next pitch. Can we have musicians record sprint-up tunes instead of walk-up music? Can batters be told they don’t have to step out of the box and look for a sign on every pitch? If it’s 3-2 with the bases loaded, why do you need a sign? We could limit trips to the mound to only making a pitching change. Maybe we could get sponsors to sponsor three innings of a game or even an entire game, then we could open the telecast saying , “Tonight’s game is brought to you by ________ with limited commercial interruption.” Then we could have 50-second breaks between half-innings. I know, I’m dreaming or hallucinating. Feel free to voice your opinions on any of this as long as your goal is to continue to make the game better. You’re certainly not obligated to agree with me. Last Friday at the Plaza Hotel in New York, my wife, Margie, and I were able to attend a first-class gala courtesy of Rawlings and their parent company, Jarden, and Gold Sport Collectibles. Big-time event. As a former Gold Glove winner, I got to present the awards to the 2014 Gold Glove-winning pitchers. This year it was Zack Greinke of the Dodgers and Dallas Keuchel of the Astros. Joe Piscopo emceed and entertained, Glen Frey of the Eagles performed and Jay Leno did standup that was really funny stuff and entertaining. It’s a special gift to be able to do what Jay and previous performers like Jerry Seinfeld and Kevin James did. Brooks Robinson and I were the first two inductees into the Rawlings Hall of Fame in 1991. Willie Mays and Roberto Clemente joined us the next year, and then the event disappeared for nearly 20 years! Credit Mike Thompson of Rawlings for bringing it back. One of the awards is the Rawlings Heart of Gold award which recognizes a player who has given back to the community. Albert Pujols was this year’s winner. A worthy choice. If I continue to be invited to this spectacular affair, I’m hoping to invite my boyhood baseball role model, Bobby Shantz. Bobby was the first pitcher to receive the award in 1957. He would have won a lot more of them if the award had been created earlier. I learned how to field like Bobby from listening to Bob Elson, longtime voice of the Chicago White Sox, when Bobby would pitch against the Sox. Look him up and find out how special he was as a pitcher and fielder. I would hear Elson describe Bobby’s delivery. He finished square to the plate on the balls of his feet, evenly balanced, and then took a short hop with both feet toward the plate — able to go left or right, glove in position for a comebacker or line drive. I logged a lot of hours in our backyard imitating that motion. At my first Spring Training in 1958, the pitching coach, Walter “Boom Boom” Beck, after watching me go through the customary pitcher fielding drills said, “Kid, you field just like Bobby Shantz.” The ultimate compliment. I say fielding because we are not really defenders like football or basketball, guarding other players, we field our positions. No big deal, just my personal preference. What metrics and analytics cannot show you is the anticipation and discipline necessary to be ready on every pitch. Tony La Russa pointed that out to me at the dinner. You bat four or five times a game. As a fielder, you need to concentrate and anticipate on every pitch for the entire game. 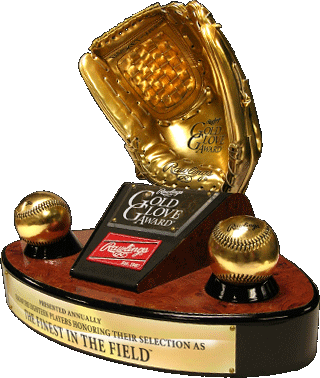 If you aspire to become a Gold Glove winner that can be for well over 100 pitches every game! It doesn’t take unusual talent to become a good fielder as much as it requires the aforementioned qualities. Players like Ozzie Smith, Mike Schmidt, Brooks Robinson, Willie Mays and others certainly were gifted, but if they didn’t have the discipline to do what is necessary on every pitch to go with that gift, they wouldn’t have been nearly as great in the field. Since we just observed Veterans Day, I’d like to mention a name to you that many of you have not heard before. Colonel Bud Day. He died last year at age 88. He served in three wars and saw combat in two: Korea and Vietnam. Bud spent five-and-a-half years in the “Hanoi Hilton” and Senator John McCain called him the bravest man he ever met. Google him and read the book American Patriot: The Life and Wars of Colonel Bud Day. Millions have served and many are serving like Bud Day did. Thanks to all of them. Let’s not forget them. I have a question for Commissioner Selig as he heads into retirement. Why is Alex Rodriguez still allowed to play baseball and Pete Rose is serving a lifetime suspension? I don’t agree with what Pete did and I wish he had been remorseful. He didn’t admit he made a mistake and that hurt him. But Alex has not been overly remorseful, if remorseful at all. Unfortunately, his Hall of Fame numbers and talent will not be how he is defined. I think he will be remembered as the most selfish, arrogant, and self-centered player in history. Maybe a compromise since he wasn’t banned for life a couple years ago, which I certainly think he should have been. Start a fund for former players who are indigent, ill and/or have not much quality of life. Maybe name it the Alex Rodriguez I Wish I Had Been More Humble, Honest and Respectful of the Integrity of the Game Fund. Just a thought. Note: If you have a question about pitching or TV work — or anything else, please leave it in the comments and I’ll answer it in my next post.